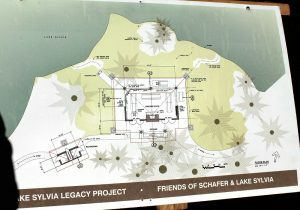 Lake Sylvia in Montesano is a beautiful recreational spot and now, thanks to the ambition of a local nonprofit group, Friends of Schafer and Lake Sylvia (FOSLS) and others, the land will be the construction site of what has been named the Legacy Project that is meant to make the lake a year-round destination. The highlight of the project will be the Legacy Pavilion, aptly named because Lake Sylvia was given to the state by residents of Montesano in 1936 after a power plant had been dismantled and then additional land was traded in 1985 to expand the park. Bids for construction will happen after the first of the year with plans to begin construction in the spring. The pavilion will be around 3,000 square feet located by the kiosk on the right toward the campground. It will have a fireplace, kitchenette area, solid back wall with three moveable walls, and will be an ideal place to host events. When it is enclosed, the pavilion can comfortably seat 50 people and 80 when it’s opened. Back in 2010, Schafer State Park and Lake Sylvia were going to be closed, but the citizens of Grays Harbor stepped up to make sure that the parks were preserved by petitioning and agreeing to create a management plan. This is when FOSLS was first established with about 100 paid members currently and many associates. In 2010, there were public meetings where ideas were tossed around with the goal of making parks more usable through all seasons. 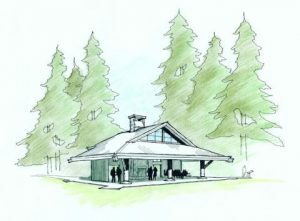 This is when a multi-season shelter was first suggested, but the idea laid dormant for quite a while until Will Foster, an architect in Montesano, generously donated his time to draw up preliminary plans for a shelter in 2014. Though FOSLS did have some funds saved from the Fall Festivals they host, they had to think about more fundraising and the first meeting for that was in September of 2015. Unbeknownst to FOSLS at the time was that it was the first home football game for Montesano High School that evening, so the meeting’s turnout was poor and they were disheartened at the lack of potential donors. But one very generous donor at the meeting gave $20,000 and another donated $6,000 to officially get the project on its way. They then set a goal to raise $250,000, thinking that would be at least half of what the project would cost. FOSLS made pamphlets and brochures, attended countless events, and members even attended a fundraising class. “There’s been lots and lots of meet and greets and fundraising along the way,” says Trina Young, board member of FOSLS. When this was happening, FOSLS realized that even if they raised $250,000 it would not be enough and they began to look for potential grants. After FOSLS jumped through many hoops and got backing by several representatives and senators and agencies, Representative Jim Walsh was able to ask for a Department of Commerce grant and it was approved in 2017. They were granted $646,000 with the stipulation that they had to come up with $200,000. 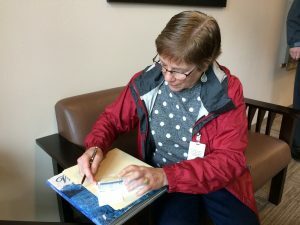 In spring of 2018, they reached their goal and wrote a check for $200,000. “Walsh got it in there, but all of our representatives were pushing for it,” Palmer adds. The project, with the fitting tagline of “A treasure from the past and a gift for the future,” has been a major community effort, but without the help of Will Foster, Donna Albert, Stet Palmer, Pat Wadsworth, Linda Anderson, Candi Bachtell, Susan Duvall, and Helen Hepp, it would not be as far as long as it is. 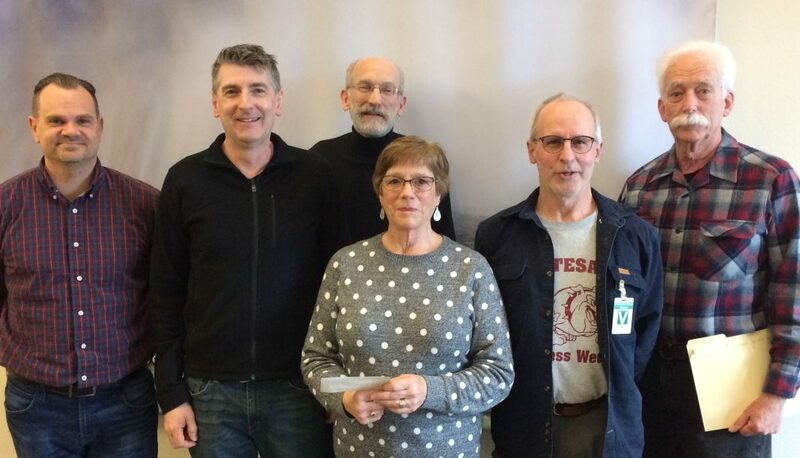 FOSLS is still working to raise a total of $250,000 to go toward upgrades, furnishings, and future maintenance on the project and donations can be made on the FOSLS website. To stay posted, be sure to visit the FOSLS Facebook page.